Time to sell your Indies condo? Read about today's resort-market condo buyer. 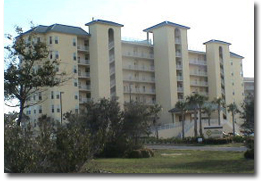 The Indies condos are located at the end of Fort Morgan Road just about 22 miles from downtown Gulf Shores, Alabama. If seclusion is the way you like to enjoy a vacation or spend some time away from home, The Indies might be your place in the sun. The Indies is comprised of 68 individual condos built in 2005. The Indies condos are one-, two-, and three-bedroom units ranging in size from 800 square feet to over 1,500 square feet. This part of Gulf Shores is definitely away from the masses, but close to the areas two best golf courses in the Peninsula and Kiva Dunes is driver, driver three wood; maybe not quite that close, but there's barely the need for a car. Near Fort Morgan, the Mobile Ferry shuttles patrons from Dauphin Island to Gulf Shores in about 40 minutes and by car, it's no less than 2 hours. At the loading area for the ferry, there's some great fishing around the pier and a rock jettie that's home to flounder in the warmer months with charter fishing at the marina that sits close-by. The Dixie bar is a huge sand bar that runs parallel to the shore around the tip of the peninsula and home to some of the best redfish and trout fishing in the entire area with plenty of boats out there to mark the spot. At night the offshore drilling platforms light up to resemble fireflies and is another beautiful view to go with the daytime vistas of the Gulf of Mexico. We've provided plenty of helpful sales info for the Indies and all other condos for sale in Gulf Shores, AL, like rental income info below and on our Alabama Gulf Coast condo revenue page where each building is listed in alphabetical order to make comparing investment info easy. The amenities for the Indies is listed below too. Click on any of the thumbnails below to find property details, pictures, interactive Google maps with Streetview and Satellite view. Lastly, find aerial images below and other aerial videos and images throughout the site. And this page, like all other condo pages features a link at the top to view the building's recently SOLD units; we've included a quick search for recently SOLD Alabama Gulf Coast condos where each building is listed alphabetically for quick access. If you have any further questions, need info, or would like to schedule a private viewing of The Indies condominiums in Gulf Shores or any other condo or property, please email info@condoinvestment.com or call 251-Area-Pro (251-273-2776) for immediate assistance. Planning to rent out your Indies condo? Read these RENTAL TIPS to help increase your rental revenue. 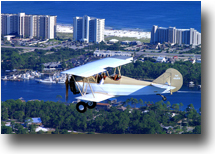 Visit our Alabama Gulf Coast Condo Revenues page to find annual rental incomes for the Indies and all other condos. Click here for aerial photos of the Indies condominium in Gulf Shores, AL.